Shipping $12.75 Add item to cart for shipping estimate. You can SAVE on shipping by buying multiple items from the same seller. Shipping is charged by each individual seller. Sellers at times may also provide FREE SHIPPING on select items or on entire order if it meets the minimum order value. Please check sellers page for more details. Diwali is the festival of lights, in which the auspicious season brings friends and family together. 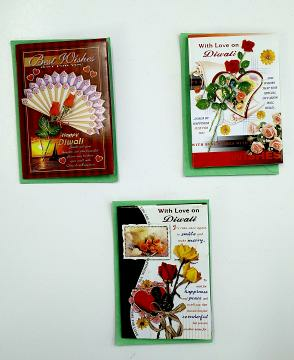 These Diwali greeting cards allow for you to express your emotions for your loved ones. They come in three varieties and with their own envelopes! Shipping Cost $12.75 Buy multiple items online from Namaste to SAVE on shipping. 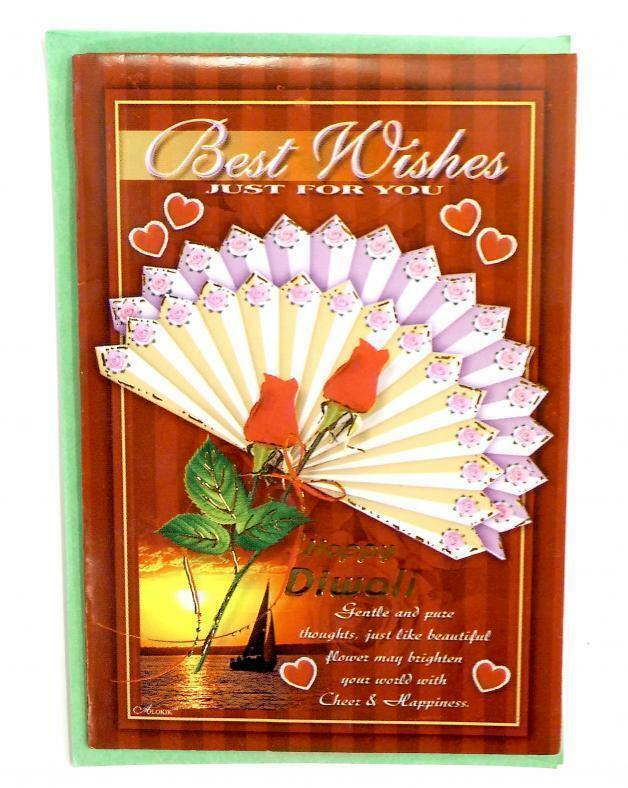 This item in Unique Diwali Gifts category was first added to our catalog on 11-05-2015. 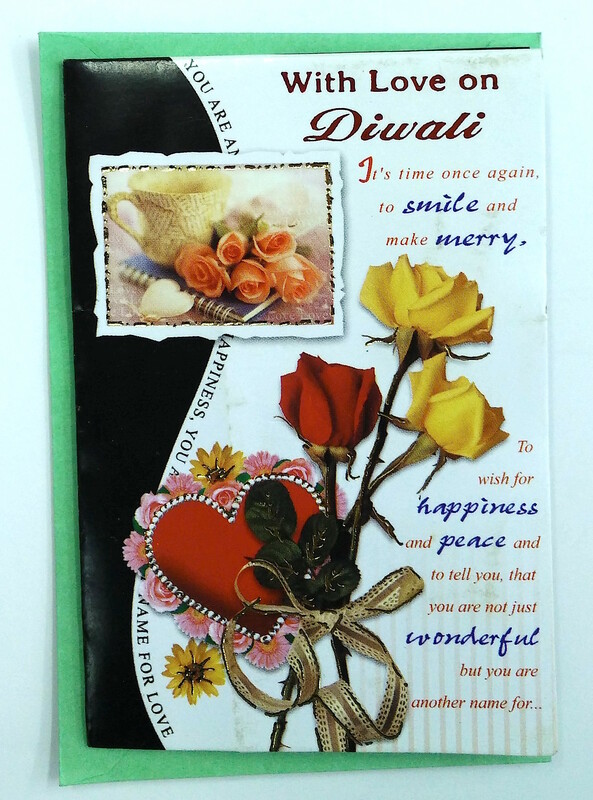 Buy Small Assorted Diwali Greeting Cards, sold & shipped by Namaste where you can shop online for Indian Gift Store: Handicraft, Home Decor, Wedding, Rakhi & Diwali Gifts. 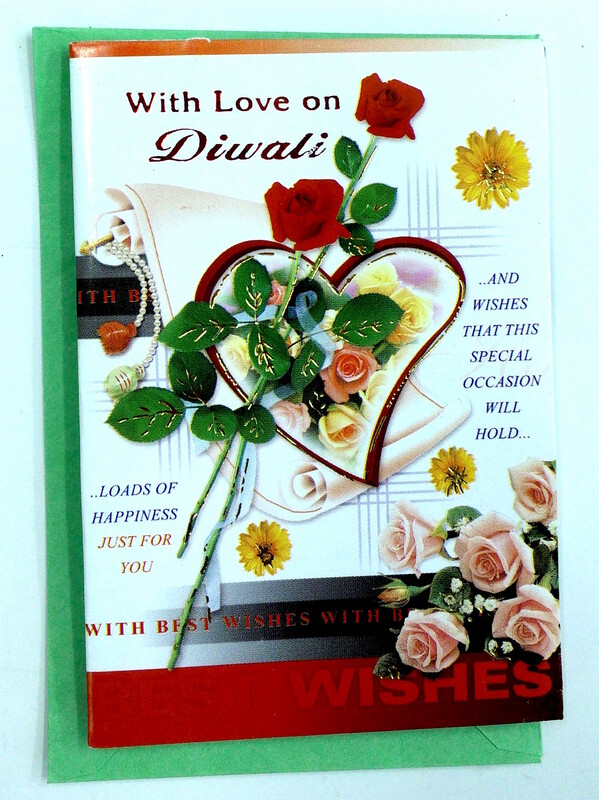 This Diwali Gifts collection has been tagged as Diwali, Gift, Ganesh, India, Cards, Greeting.